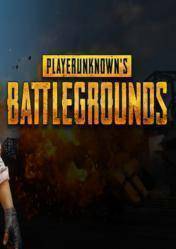 Attention: PLAYERUNKNOWNS BATTLEGROUNDS, or PUBG, is a game in digital key or Steam key format (although it may also be available in other versions such as Steam Gift), depending on which online store you buy. Depending on the format, it must be activated in one way or another. Remember also that they may have regional blocking, so pay attention to this information and check each of the stores. PLAYERUNKNOWNS BATTLEGROUNDS is a massively multiplayer game in which we will equip our character with all kinds of supplies, weapons, and equipment to survive the constant attacks of other players. All the action takes place on a remote and extensive island, 8km square, where we will escape hiding, looking for all kinds of remains to create weapons and facing us in massive battles against other players around the world who will try to end our life to steal all our materials. The graphical section of the game looks spectacular, thanks to the power of the Unreal Engine 4 graphics engine. Sniper rifles, assault rifles, shotguns, pistols, Molotov cocktails and a huge list of weapons and melee weapons that will be available for to finish with our rivals, without counting the amount of vehicles that we will be able to pilot and with which we will run over anyone who dares to get in our way. Bury you in abandoned houses or bunker, create defensive positions, heard you in the water waiting for an ambush, ... the possibilities and techniques that we will use are many and everything to lay the perfect trap to our rivals. The launch date for this game is March 23, the day it will be released in the "Early Access" phase which means that it is a first playable version of the game that is still in development. Access to the final full version is already included in the purchase of this product, but over time developers will release updates and enhancements that will enhance the gaming experience. love the game but I highly recommend using an SSD for playing it or else you might suffer from textures not loading properly at the start of each match. Fun gun arena game, very fast paced followed by periods of tension and looting and probably the best if you prefer just gunning and driving. In my opinion, this game had such a great potential, but it is too realistic for younger generation, and games such as fortnite or real royale have more chances to grow faster than this game. 2.992 Hours in game AND I STILL PLAY THE GAME !! it's a really fun and challening game, much better than fortnite, it's more challenging and you can't build to cover, cover is the tree! PlayerUnknown's Battlegrounds gameplay #124 - A WEIRD SAUSAGE PUN!